In Hosford v. BRK Brands, Inc., a case from the Alabama Supreme Court, a four-year-old girl was killed in fire in her family’s mobile home in May 2011. Her mother and other surviving family members filed a personal injury lawsuit with a wrongful death claim against the maker of the two smoke detectors that were installed in the home at the time of her tragic death. They made various claims that are common in products liability cases, such as failure to warn, negligence and claims of wantonness. Failure to warn of a known danger is one of the more common claims, because it is an allegation the maker of a particular product was aware or should have been aware of a certain type of danger when the product was being used for its intended purpose and failed to warn the plaintiff of that potential danger. As you will learn when you discuss your actual legal situation with a Boston products liability attorney, the victim’s level of sophistication and familiarity with that type of product will play a role in some cases as to whether or not you have a valid clam. With consumer products, it is often assumed that the consumer has very little knowledge with respect to the dangers of the product and should be warned of any dangers that are not obvious to the average consumer. Many manufacturers do not want to take any chances, so they put warnings on everything they make. If you buy a can of Zippo lighter fluid, it will tell you that the fluid is flammable, and you should be careful. This is obvious, since that is the point of lighter fluid, but the warning is there anyway. On the other had, a specialty tool used by diesel mechanics might not have a warning, because it assumed that the person using it went to school to learn how to use that tool. In this case, defendant filed a motion for summary judgment, asking that all claim be dismissed. The basis for the dismissal was that plaintiff did not submit evidence that a safer design would have prevented the accident. In this case, the child was killed and two smoke alarms did not go off. She argued they were defective, and the company did not warn them they might not go off in a fire. The reason they did not go off was because of some issue with the way particulate matter in smoke will or will not interact with the ion detector. The problem was these alarms worked like every other consumer home alarm on the market. The court granted that motion and dismissed the claims. The court on appeals affirmed this ruling and noted, again, that plaintiff did not submit evidence that some other design would have been better and would have prevented the girl’s death. 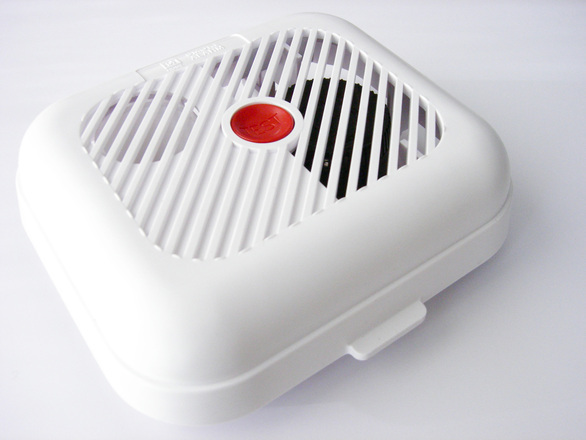 For example, if there were another type of smoke alarm on the market, and that one would have gone off, this might have made for a better of chance of recovering under the defective design statute.